Cultured pearls and highly precious gems trading company. A team of professionals at your service who can all year long provide you with the best opportunities and prices on all gems and pearls. In order to serve you in the best possible way, the GemPremium team is personnaly bringing you back froms their travels products ready to fullfil all your needs. Our gems come from all corners of the world and are cleared from customs by our experienced freight forwarder, who can skillfully optimize the logistical expenses who could otherwise hinder our cost prices. 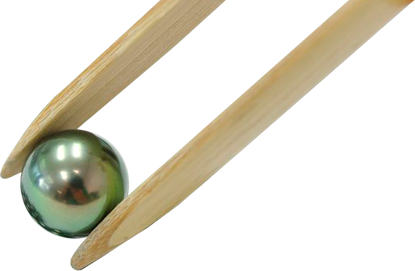 The team is mostly expert in cultured pearls from all over the world and gems from Sri Lanka. GemPremium buyers roam around international markets and cultured pearl farms, assuring quality for each and every of our products. This direct relationship we have with the producers permits higher standards for selection of the most beautiful pearls. Relationship with these women and men working in these farms and markets, with whom we maintain very close and special ties. This would also stand true for sapphires and other gems from Sri Lanka that we negotiate directly on local markets like Beruwala. You will find assembled jewelry ; pendants, rings, bracelets and so on... but also and most importantly the opportunity to buy actual gems and pearls to compose the end products yourself. It will be a pleasure to receive you in one of our private sales (Québec, Montréal, Toronto, Halifax, ...) and also at Montreal Expo Prestige 2013 from August 25th to the 27th (St. 922) also in Toronto from the 11-13 August Metro Convention Center (CJExpos) Booth 424.